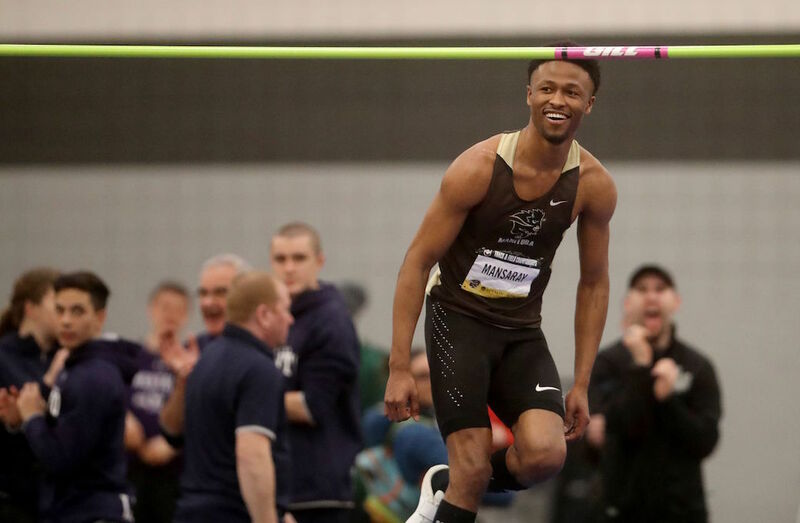 Twelve combined top-three finishes helped the Guelph Gryphons vault well ahead of the field in both the men’s (76 points) and women’s standings (81 points) on Day 2 of the U SPORTS Track and Field Championships, Presented by Beynon Sports. 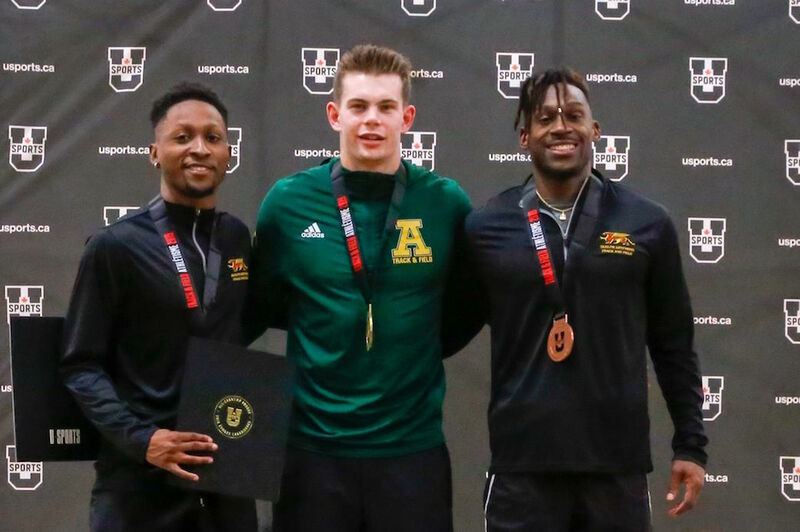 The Gryphon men were paced by 300-metre runners Philip Osei and Daniel Harper, who finished second (33.17) and third (33.26) overall in their event. 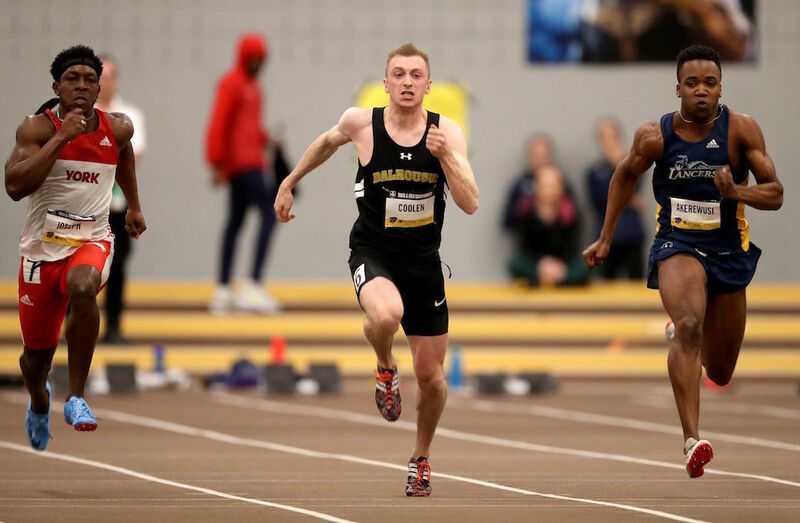 Guelph’s 4x800-metre relay team also placed second with a time of 7:37.45, as did Mark Bujnowski, whose toss of 18.09 metres in the sixth and final round of the weight throw secured him a silver. Matt MacGillivray also raced to a third-place finish in the 60-metre hurdles with a time of 8.19 seconds. The Gryphon women were aided by a stellar day from Jenna Westaway, a double gold medallist in the 1000 metres, as well as the anchor leg in the 4x800-metre relay. Her 1000 metre time of 2:41.36 set a new U SPORTS record, while the relay team that’s also comprised of Jenna Smith, Sadie-Jane Hickson and Olivia Romaniw cruised to a top time of 8:47.25. Romaniw also earned a bronze in the 1000 metres, capping a well-rounded performance from Guelph in the event. Zoe Sherar added to the gold medal haul in the 300 metres with a time of 37.79, while her teammate Morgan Byng added a bronze with a 38.69. Emma Nero also secured an 8.36 to grab a silver in the 60-metre hurdles for Guelph.